Audio input from PL1 frequency modulates the VCO section of a 4046 PLL chip. 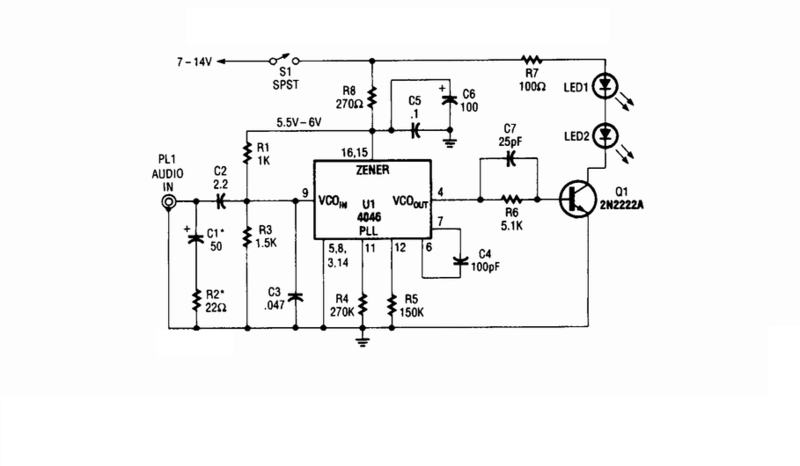 The VCO output drives Q1, a switching transistor. Q1 drives two IR LEDs. The signal produced is around 100 kHz, FM carrier VCO sensitivity is around 7.5 kHz/V.